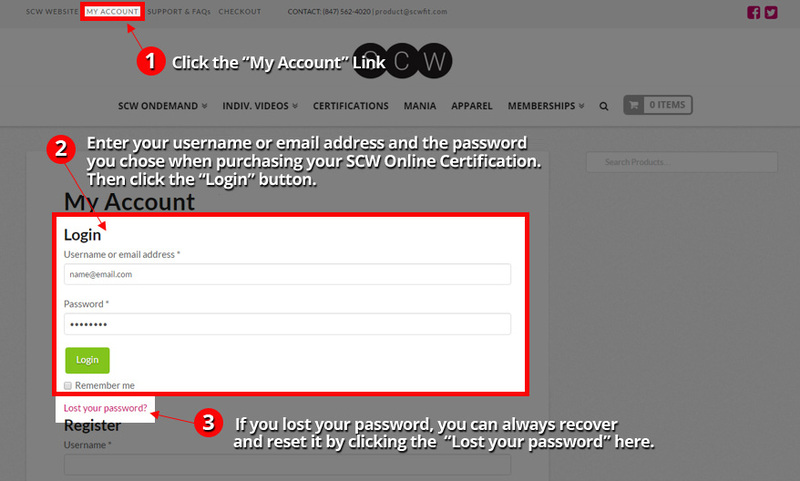 After purchasing a SCW Online Certification you must be logged into your account to access the materials. This applies to any and all products/services purchased in the SCW store. 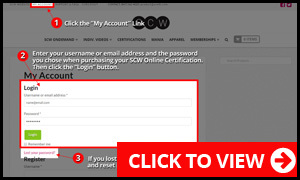 Go to the “My Account” section of the website and follow the link to access your purchased SCW Online Certification. 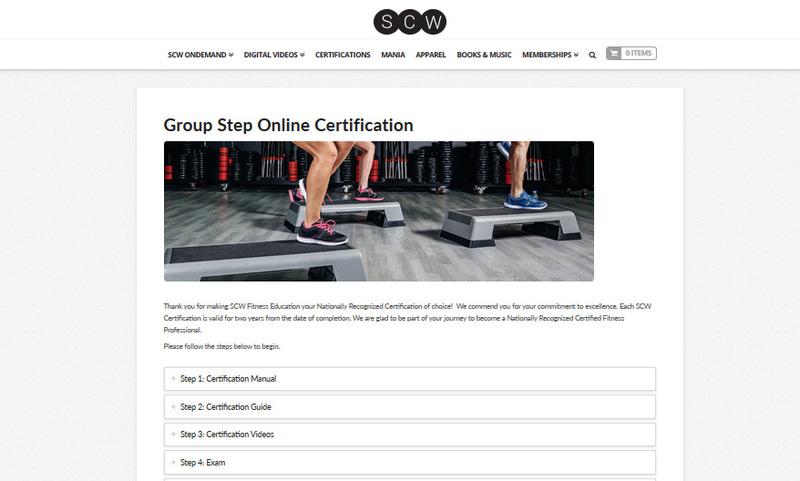 To access your SCW Online Certification you must be logged into your account. To log into your account click the “My Account” link. If you lost your password, you can always recover and reset it using the “Lost Password” link. Find the name of the certification you purchased and click the green “View” button. 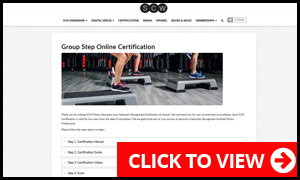 This will give you direct access to your SCW Online Certification. You now will have complete access to your SCW Online Certification. 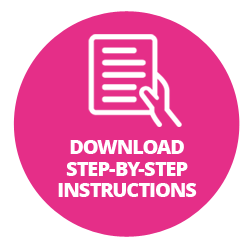 Follow the steps listed to complete your SCW Online Certification.